Some alternative and integrative doctors report a connection between root canals and cancer in the patients that they treat. They consider root canal treated teeth to be a burden on the immune system. The reasoning is that there are too many “nooks and crannies” where bacteria can hide, making it difficult to sterilize a tooth. Conventional dentists and endodontists say that properly treated root canals are not an issue at all… and that root canals are not linked to cancer, nor disease anywhere else in the body. While root canals have not been formally linked to cancer, there IS evidence that they could promote disease in other parts of the body. The research on cancer and root canals is also limited… so the possibility still exists. Multiple studies found some degree of infection in 50-90% of intact root canal treated teeth, when examined in patients and cadavers. Another showed infection in 86% of root canal treated teeth, even when the procedure was performed carefully. Root canal treatments can also differ greatly, ranging from poorly done, to very thoroughly done… and everything in between. Root canals that were not treated carefully could be at greater risk of being an immune burden. And overall, if you have a root canaled tooth, there is a good chance that it was treated in a “less than optimal” manner… especially if it was done by a general dentist. Root canaled teeth can also have infections, even when it’s not detected by x-ray. This could be worse if the dentist is using older x-ray technology. Based on the evidence that is available, there’s a greater than a 50% chance, that your root canal treated tooth is a burden on your immune system… even if the initial treatment was done carefully. 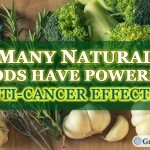 When you are healing from cancer, you want every anticancer variable on your side. One of these factors is your oral health. But when you look into the root canal debate, you’ll see that it’s very a polarizing topic. One side of the debate says that all root canals are dangerous because they are an immune burden…. So what’s the whole story? Should you get your root canals extracted? We’ll examine the facts today, so that you can make the best decision for your case. The movement against root canals started with a dentist and nutrition researcher named Weston A. Price. Dr. Price traveled the world studying traditional cultures, and how they were affected by a “civilized diet” high in refined foods. Dr. Price found that switching to a “civilized diet” caused narrowing of the face, crowded dental arches, crowded teeth, increased tooth decay, and reduced immunity to disease. But beyond nutrition, Price also studied the health effects of root canal treated teeth . In his experiments, he prepared root tip fragments of root canal treated teeth, and healthy teeth. Then he implanted them into rabbits (under their skin) to see how it would affect their health. The healthy teeth didn’t create any issues in these rabbits. But when the root canaled teeth were implanted, the rabbits became ill. These rabbits often developed the same health issues as the person who donated their root canaled tooth for research. Bacteria In Dentinal Tubules: Teeth are porous, with extensive networks of tunnels called “dentinal tubules.” When a tooth still is in the person’s mouth, it’s very difficult (some say impossible) to kill all of the bacteria in these microscopic tunnels. Accessory Canals: Besides the main canals, teeth also have smaller “accessory canals.” These are out of the reach of the tools used in a root canal procedure. This makes it a place where bacteria can persist. Devitalized Teeth: When the nerves and blood vessels are removed during a root canal, it is no longer “alive.” This also means the immune system can no longer access the tooth. Because of this, and the leftover bacteria, root canal treated teeth are thought to be a point of low grade infection in your body. Immune Burden: The bacteria harbored in the root canaled tooth are an overall immune burden. They can also spread to, and affect other parts of your body. Ultimately, if a root canaled tooth is harboring significant bacteria, it is thought to contribute to cancer (and other diseases) because of its burden on the immune system. When your immune system is overworked, it has less resources to deal with any cancer cells that may be multiplying in your body. Some health practitioners and holistic dentists also talk about the effects of a “dead” or missing tooth on the body’s acupuncture channels. Certain teeth are also thought to be correlated to different organs in the body. Though this in itself is a controversial topic, this idea relates to two possible concepts. The first is the electrical current that is generated when teeth hit each other (i.e. when you bite or chew.) This is referred to as a “piezoelectric effect, ” and it also happens when pressure is applied to the bone underneath the tooth. These electrical currents are thought to affect the acupuncture channels, and the system of connective tissues that are everywhere in your body (i.e. fascia). The fascia system is electrically conductive and is thought to be like a “second nervous system” in some senses. Ultimately in acupuncture theory… disturbances in the energy channel, can disturb blood circulation/ microcirculation to other areas of the body. And because everything in your body is transported by blood and fluids, this can also affect the flow of nutrients, immune cells, oxygen, pH balancing factors, as well a your body’s own detoxification chemicals (glutathione, glucuronic acid etc…). So ultrasound energy can affect acupuncture channels and affected tissues in totally different areas of the body. Electricity has also been traditionally thought to affect acupuncture channels, and change blood circulation patterns when used in treatment. So what effect would a dead tooth or missing tooth have on the acupuncture channels? How about a tooth with a low level infection (as is thought with root canals)? To my knowledge, one knows for sure (i.e. scientifically proven)… but I think it’s safe to say that these factors DEFINITELY have the POTENTIAL to adversely affect the body. Since the Weston Price days, there have been other researchers, dentists, and doctors that have also looked into this issue. One of the most well known is Dr. Hal Huggins… a retired dentist, and outspoken critic of both mercury fillings and root canals. Dr. Huggins has continued in this line of work by testing for bacteria in and around root canal treated teeth . According to Dr. Huggins, the blood around extracted root canaled teeth can harbor 400% more bacteria than in the tooth itself. Using modern detection methods, he’s been able to identify up to 83 different bacteria in parts of the root canaled teeth. However, this information hasn’t been published in scientific journals, to my knowledge. So again, the main argument here is whether or not a root canaled tooth can be sufficiently disinfected during the procedure, and remain disinfected over time. The anti-root canal camp says NO…. There is no valid, scientific evidence linking root canaled teeth to disease elsewhere in the body. In fact, people with greater than 3 root canals, had lower levels of c-reactive protein than people with less than 3 root canaled teeth. However, the biggest problem with this study is that it doesn’t look specifically at people who have no root canaled teeth at all. The authors themselves state that a conclusive study would have to look at root canal vs no root canal treatment, in relation to c reactive protein and cardiovascular disease outcome. 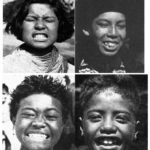 I would also add that the results may be confounded (clouded) by the number of missing teeth a person may have (more on this later.) Though difficult to measure, how promptly a dental infection was treated could also be an important factor. How long was tooth infected before it was pulled out? Was it pulled out right when the infection got into the tooth pulp? Or was it pulled out 6 months after an abscess developed? Because, the longer you leave the infection in place, the more bacteria, endotoxin, and inflammation you’d be exposed to over time. Endotoxin exposure may also decrease the ability of your body to detoxify it self optimally . Most importantly, the more missing teeth a person has, the greater the chance that this could have happened. Ultimately, we’d really need a study looking at people with, and without root canals… And in an ideal world, these people would still have most of their teeth. 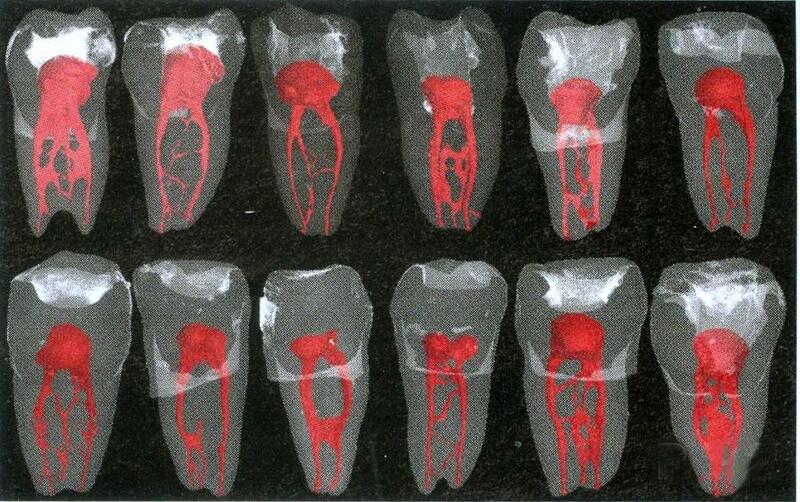 So as you can see, the arguments for and against root canals can get quite complex. But now that you have a better idea of the issues being argued here, let’s look deeper into the problems with these arguments. As you will see… this is just incorrect. Root Canals Linked to Heart Disease? A 2010 study from the University of Iowa College of Dentistry showed that people with 2 or more root canaled teeth had 62% greater odds of having coronary heart disease . Interestingly, this only applied to people that had 25 or more teeth. This study above was a “retrospective cohort study” to look at potential risk factors for disease (prognostic study). So from out of 5 possible levels of evidence (1 being the strongest), this study is level 2 evidence`. In another example… a group of 3 doctors from the Netherlands published a case study in 2002, explaining of one of these doctors’ own experiences with his root canal treated teeth . Mind you, all 3 of these doctors are dual MD and PhD professors at their universities, including one in rheumatology and another in immunology. So even more so than most doctors, they also have formal training in scientific study. This doctor could trigger his rheumatoid arthritis just by biting on something hard, using the root canal treated teeth. His symptoms would flare up 1-2 hours after biting on the tooth, and would last for a few hours. This effect was consistently reproducible, which is what caused them to suspect the root canaled teeth in the first place. When he had his dentist check the root canaled teeth, no problems were found. There were no noticeable issues clinically, or when examined with x-ray. But because of this reproducible aggravation in his symptoms, he had the tooth pulled. After the tooth was extracted, they found a “thin layer of pus” covering the very tip of the tooth’s root (apex). This initial extraction also caused his arthritis symptoms to subside for a few months. But after this period of relief, his symptoms flared up again (he still had 3 more root canaled teeth in his mouth). So he had the rest of his root canals pulled. All of these teeth also had a layer of pus at the tip of the root. Ultimately, removing all his root canaled teeth (along with 3 years of taking aspirin) resulted in 16 years without any recurrence. Interestingly, this doctor’s mother and grandmother had the same exact issue, and were also able to recover after their root canaled teeth were removed. Overall in terms of being “valid scientific evidence…” this example is just a “case study” (or closer to a “case series,” considering the doctor’s relatives). This is one of the lowest levels of evidence in science . Although a study like this can’t be used to make a broad statement about root canals and overall health… it shouldn’t be disregarded either. This is especially true when you consider the credentials of the authors. Rather, it should inform us that this type of phenomenon is possible, and should be considered when evaluating our own individual situation. Bottom Line: There IS scientific evidence linking root canal treated teeth to disease elsewhere in the body. This statement doesn’t really address the issue. Certainly there is bacteria in the mouth and teeth at all times… But the issue here is the type of bacteria, and the amount of bacteria present. When you have an infection in an untreated root canal for example, the low oxygen conditions favor (more dangerous) anaerobic bacteria over aerobic bacteria . One study also showed that root canaled teeth are also less resistant to bacterial invasion compared to live teeth . GW Comment: In other words, there are a lot of “nooks in crannies” in a tooth. So you couldn’t know for sure if you got all the bacteria or not (with techniques used up until 2006). GW Comment: In other words, if you don’t kill all the bacteria in the tooth… there’s no good evidence that they can be fully sealed in the tooth either. This may cause an infection that’s clinically undetectable. GW Comment: So, if an x-ray shows no infection in your root canal treated tooth, there’s still about a 60% chance that there is a low level infection there. The only way to know for sure would be physically examine the tissue. GW Comment: When researchers examined the actual tissue (rather than x rays) under the root canal treated teeth, 50-90% of them showed signs of infection (in various studies.) This quote speaks for itself. No matter how clean a root canal treated tooth could theoretically be… MOST of them have infections in reality. 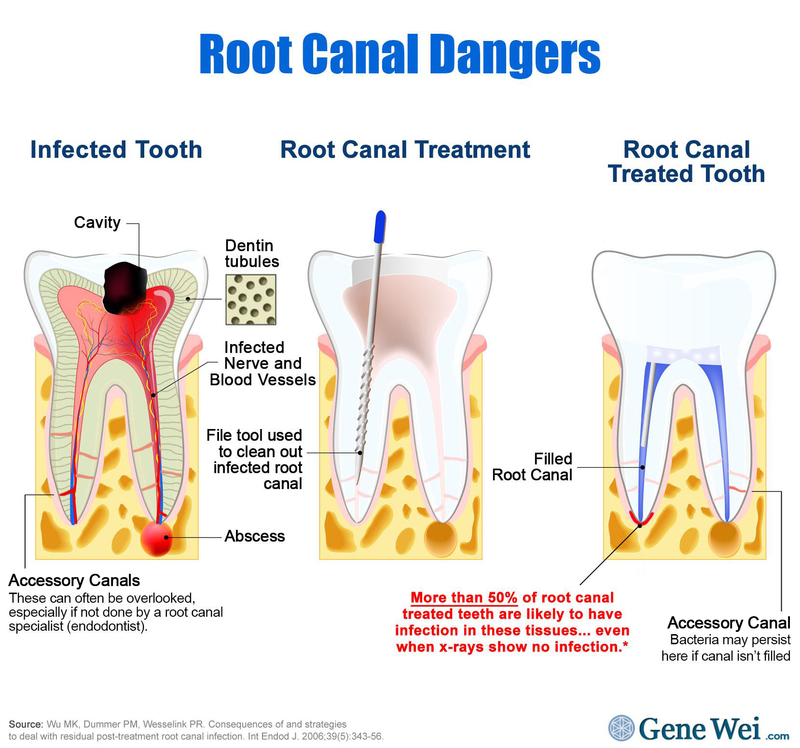 GW Comment: So based on one study of carefully done root canals (using techniques available in 1998) there’s an 86% chance of residual infection. And most of these would not be detected by x-ray. 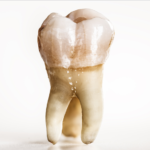 GW Comment: So considering all the different studies they analyzed, these researchers concluded that there’s a greater than 50% chance that your root canal tooth has some level of infection. 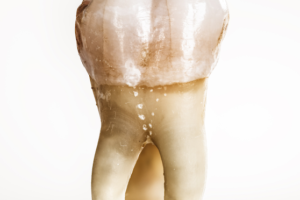 GW Comment: So while a root canal treatment may “solve the dental problem”, it often results in some level of infection at the root of the tooth. So the possibility of of residual infection in root canal treated teeth is the main issue… and it’s likely to be a problem in over 50% of root canal treated teeth. Now to be fair, these researchers did cite a small percentage of root canal treated teeth that remained without infection. And there are a lot of factors that could give you a better idea of whether or not your root canal treated tooth may be harboring infection… We’ll discuss this in greater detail in a minute. Is Tooth Removal More Traumatic Than A Root Canal? 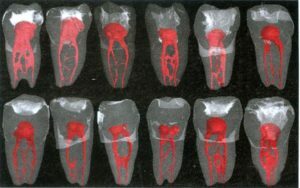 So we know that root canal treated teeth have a high chance of being infected, even when x-rays show no infection. But just to be thorough, let’s address some of the other opinions from the pro root canal camp. Though this may be the case, it also doesn’t address the main issue. The problem here is short term exposure to bacteria via extraction… vs… the potential for long term exposure via root canal. With an extraction, your body may need to fight off the bacteria released by the procedure (often with the help of antibiotics). But if over half of root canaled teeth are indeed harboring infection, then your body would have to fight that for years, even decades. Do Root Canals actually PROTECT YOU from cancer? Though I think this is an important piece of research… it’s definitely not as cut and dry as it may seem. First… A “45% reduce risk of cancer” sounds huge. But when you look at the statistics in this study, this “protective effect” is only borderline significant at best. And though there wasn’t a clear link found in this study (for one specific type of cancer), another study did find a link between missing molars and an increased risk of cancer overall . As we mentioned before, this could be caused by increased exposure to bacteria and inflammation resulting from past dental infections. Lastly… This “borderline protective effect” only applies to head and neck squamous-cell carcinoma… not necessarily cancer overall as the quote above implies. A compelling study would have to look at relationship between root canals and other types of cancer in other areas of the body also. 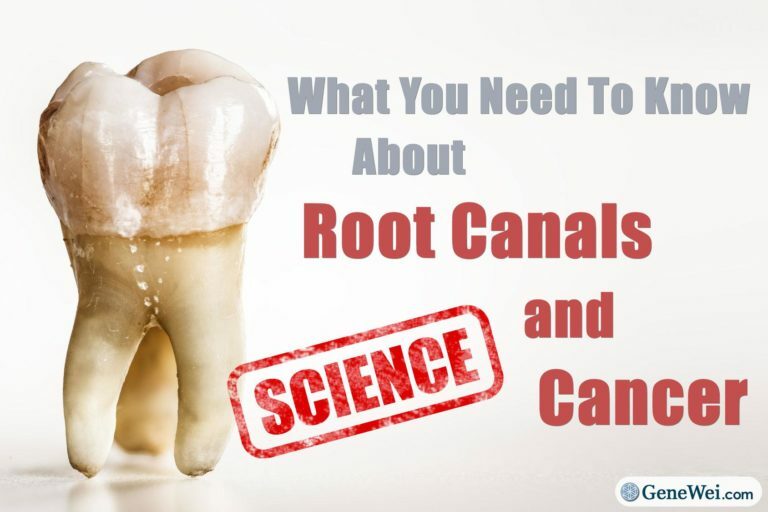 This would be important, as doctors like Josef Issels MD (Issels Immuno-Oncology), and Thomas Rau MD (Paracelsus Clinic) have claimed a very high percentages of root canaled teeth in their cancer patients . Considering all of these things, I’d say that the evidence is still inconclusive. This is also why people should be evaluated on a case by case basis. While I’m all for reasonable criticism, it seems that Weston Price’s work on root canals if often misunderstood. Here are some more arguments from a root canal advocacy website (presumably written by a dentist/ endodontist) . These quotes are referring to Weston Price’s experiment’s of implanting root canaled teeth into rabbits. Below each quote is my commentary/ rebuttal. GW Comment: I’m not sure when this dentist/ endodontist got the idea of a saliva covered tooth. Apparently, Weston Price chemically treated the root canaled teeth before implanting a fragment of the tooth into the rabbit. And even if it was a failing root canal (which is an assumption, though reasonable), it was still chemically treated after extraction. So this is a major misrepresentation of Price’s work. GW Comment: This doesn’t address Weston Price’s finding that healthy teeth fragments (presumably also covered in some bacterial film) did not cause the same issues in the rabbits. The only way this statement would be relevant, is if he/she is referring to bacterial film inside the infected root canal (if it wasn’t properly cleaned.) In this case, it would also be important to know how Price treated the teeth after they were extracted, and specifically with which chemicals. GW Comment: According to Hal Huggins, Weston Price implanted root TIPS into the rabbits… not whole teeth . Additionally, this doesn’t explain why the healthy tooth fragments did not cause any issues. GW Comment: This seems to be a fair statement to me. However… according to Dr. Huggins, Weston price took the extracted root canaled teeth first, then chemically treated them with chemicals that were too strong for use in patients . So this statement wouldn’t apply to Weston Price’s experiment. The only idea that could is worth considering in this statement, is if Price (or the person who did the root canal originally) didn’t use a microscope to thoroughly clean out the biofilms inside the root canals. This could make it easier for the bacteria to survive Price’s subsequent chemical treatment . GW Comment: Though these were animal studies, Weston Price apparently did this experiment with 4000 teeth  and upward of 60,000 rabbits … So this much more than a sample size of one. Furthermore… a treatment technique isn’t necessarily “useless” just because it’s old. Traditional Chinese doctors for example, were using herbs with known anti-depressant effects  for over 2000 years, while doctors in the 1930’s were using pre-frontal lobotomies to treat mental disorders . So whether a treatment is useful or not, should be looked at on a case by case basis… not determined by its age. GW Comment: I don’t see any evidence to support this 1000’s to 1 statistic… And I would never expect a “complete recovery” from improving just one variable. But I do think the point is still valid. This is why people need to be informed that their root canal could be a contributor to their problem… but that it may also not be. They should also be fully informed of the potential costs, especially if the removed root canal doesn’t help them at all. When you look into the information against root canals, you’ll see very high percentages for the instances of bacteria in these extracted teeth. 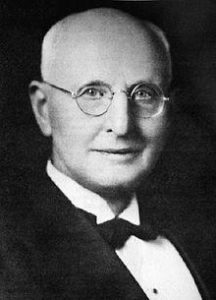 One of Weston Prices’ studies for example, found only 10 out of 1000 extracted root canaled teeth remained sterile after incubation . Hal Huggins’s upwards of 92% of sample to be infected with health threatening strains of bacteria . 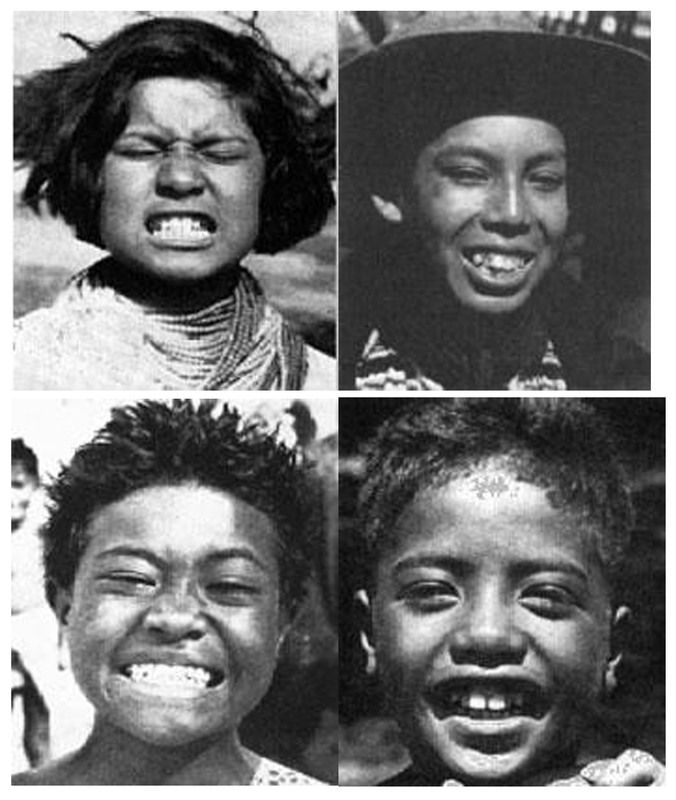 But to be fair, many of these teeth were likely extracted from people that were having health issues already. This is what often drives people to suspect their root canals in the first place. If a person with root canaled teeth has no health issues at all, she is not as likely to have their tooth extracted for examination. And the previous study we cited found between 10-50% of root canals with no infection when extracted from a more balanced sample population (i.e. not just people with chronic illness). So the percentage of healthy root canal treated teeth is likely a bit higher than what’s claimed by the anti-root canal camp. Overall, the chances of having a non infected root canal is still quite low (i.e. an average of only 30% chance). And this is only looking at the root tip of the tooth. A higher percentage of bacterial burden may be found if the entire tooth were considered. So if there’s about a 30% chance that your root canal treated teeth is more or less “safe”… what factors should you consider about your root canal treated teeth? The most important is whether your root canal treatment was done well, or not. GW Comment: So regardless of who is correct about the root canal debate… you may still have a poorly done root canal. Let’s say your dentist gets all the main roots, but ignored some of these factors above… This could increase the likelihood of a clinically undetectable infection. So if you do have root canal treated teeth, there’s a good chance that they treated in a “less than perfect” manner. And as we mentioned earlier, 50-90% of root canal treated teeth extracted from patients and cadavers, showed signs of infection . I myself had three root canal treated teeth, and all were done by a general dentist… not an endodontist. When I had them removed, two of the three were obviously infected. And one of my infected root canal treated teeth was “perfectly fine” according to conventional dentistry. From what I recall, there were also no microscopes used during my original root canal treatments. As you’ll see next, this may be a critical factor. One of the biggest issues with root canals are the “accessory canals” that branch off of the main root canal. And there are a lot of misconceptions here that need to be clarified. The anti-root canal camp says that dentists can’t treat these smaller accessory canals in your teeth. This is thought to be a place for bacteria to hide and multiply. They even go as far to say that dentists aren’t taught about these accessory canals in dental school . Well, this only partially correct… However, you’ll see the point they are trying to make is still valid. Modern day dentists ARE WELL AWARE of accessory canals. And the reality is, root canal specialists can find and treat accessory canals using specialized operating microscopes . HOWEVER, this mainly applies to larger accessory canals (apparently)… and general dentists will likely even miss these (as opposed to root canal specialists ). AND, as the we talked about earlier, even some endodontics researchers admit that it’s unlikely that you could treat ALL of a tooth’s accessory canals . This illustration  shows you how complex root canals can be in reality. The more complex the canal system, the more likely it is that some smaller canals will be missed. The pro-root canal camp also refers to x-ray evidence as proof of healing after a root canal . But as we mentioned before, multiple tissue studies have shown a problem can still exist even if it isn’t detected in one instance of x-ray . Here’s another example from Dr. Tom Colpitts. He explains how switching to a 3D CAT scan has enabled him to find problems with root canals that would have gone undetected on a normal x-ray. According to him, nearly 70% of root canals show signs of infection (presumably after 10 years). So What’s The Full Story? However… It’s safe to say that the phenomenon of root canals impacting one’s health is a DEFINITE POSSIBILITY, and should be evaluated when looking at your own situation. ULTIMATELY, root canals may not ALWAYS be a burden to your immune system, but they LIKELY ARE in most cases. Root canal treated teeth ARE likely to be an immune burden, in more than 50% of cases. But this immune burden can happen to varying degrees. This can range from being the main cause of a chronic disease, to likely insignificant… and every possibility in between. Root canals overall can range from perfectly done, to totally inadequate… and everything in-between. If your root canal was performed by a very meticulous endodontics specialist, there may be a greater chance of it being ok. But overall, the chances that you had a “poorly done” root canal treatment is pretty high. This would increase the likelihood of immune burden on your body. The older the root canal treated tooth, the more likely it is to be an issue also. Ultimately, how your body is affected by a root canal depends on the degree of the immune burden, in relation to the strength of your immune system. But if you are fighting cancer (and want every variable in your favor) you’ll definitely want to consider your root canal treated teeth as a possible source of immune burden. Consider taking some immune supporting and detoxification supplements before and/ or after the procedure (with permission of your dentist). Things like beta glucan, coriolus versicolor, AHCC, are good options for supporting your immune system. First consider the fact that your root canal has greater than a 50% chance of being histologically infected (i.e. infected, but not visible on x-ray.) The true figure is likely to be around a 70% chance. Then find out how old your root canals are. The older they are, the greater the chance of them causing an issue (especially if they are more than 10 years old). Find out who did your root canal. If it was done by a general dentist, rather than an endodontist, then there’s a greater chance of it causing an issue. If they used an operating microscope during the procedure, there’s a greater chance of the tooth being ok.
Have your root canaled teeth evaluated by a dentist or endodontist using newer diagnostic technology (like 3D-CAT scan). In this case, you’ll also want to consider supplements to help reduce the impact of the radiation. These include high quality Omega 3 fats from fish, krill, or algae… liposomal glutathione, curcumin, and polyphenols in general (i.e. resveratrol, quercetin, EGCG). Have your physician check your blood for markers of inflammation and infection (though this still may not be conclusive). You can also check to see if you can create any symptoms by biting down on the root canaled tooth. Try using it to (carefully) chew on something hard or tough (i.e. 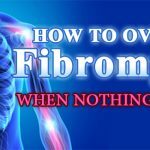 jerky, nuts, etc…) Then, note if you get any noticeable symptoms including fatigue, muscle stiffness, pain, swelling, or aggravation of any symptoms that you already had. If any of these things above point to a potential problem, there are two possible solutions. The first is to ask your dentist about “apical surgery.” This involves physically inspecting the root of your root canal treated tooth for signs of infection, and treating it if necessary. According to the endodontic researcher that we cited earlier, even this should be done meticulously (using an operating microscope, micromirror, ultrasonic irrigation, and smear layer.) This should allow complete healing in 97% of cases . The other choice (which maybe still safer), is to have your root canaled teeth removed by a competent biological dentist. The reason I say that this may be safer, is that the studies above only looked at the root of the tooth. It’s not clear if there could still be infections around accessory canals higher up on the tooth. With either choice, I’d recommend consulting with a biological dentist before deciding. Have you had an experience with root canals in relation to your health? Have you had your root canals removed? Whether extraction helped you or not… let us know in the comments below. Biological significance of piezoelectricity in relation to acupuncture, Hatha Yoga, osteopathic medicine and action of air ions. 16-year remission of rheumatoid arthritis after unusually vigorous treatment of closed dental foci. Bacterial invasion into dentinal tubules of human vital and nonvital teeth. Healing Places Biological Medicine with Thomas M. Rau, MD.